Credit Repair Services Company. We Help Fix Your Credit Report. We are a credit repair services company. We help our clients remove questionable negative items including collections, late payments, charge offs, liens, repossessions, foreclosures and judgments. The difference between Avalon Credit and other credit repair companies is that we are legally licensed and bonded. Headquartered in Newport Beach, California, our credit repair support staff streamlined our operations to improve our clients’ FICO scores. We can work with anyone in USA. Our process runs in 30 day cycles for the credit dispute process. It is outlined in Section 611 of the Fair Credit Reporting Act! We dispute straight to TransUnion/Experian/Equifax that will contact the original creditor to validate the derogatory. The creditor then has 10 calendar days to answer the dispute. If they do not respond, then by law the derogatory is removed from your credit report. It is your responsibility to forward your result letters to us so we can update your file. We will then send out the next round of disputes every 30 days. 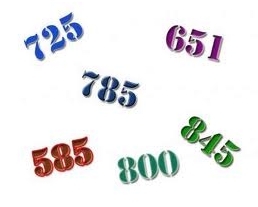 We will also need updated credit reports every month to better guide you on your progress. Congratulations on taking the 1st step towards better credit! If you have any friends or family that could use our services at Avalon Credit, refer them to us and they will also receive a 50% discount on their credit report repair (applies only to current customers).